Every start-up company must have a lawyer. A good business lawyer will help you in various aspects of your business. It will give you advice on various contracts and dealings you make with other companies. For Here are the major reasons to have a lawyer for your company. Most start-up companies are sole proprietorships. In some cases, a group of individuals develops the company. You should decide on the type of legal entity you want your business to be. This decision is important for tax reasons. In cases when other people are involved, it is important to decide who takes the business decisions and how the profit will be distributed. For making such contract you need a lawyer. Sole proprietorships, partnerships, or other forms of business are all governed by state laws. The laws can differ from one state to the other. You should know the laws for paying taxes. You should provide various reports to authorities regarding your business from time to time. A lawyer can take care of all these. You should put everything about the company in writing to avoid future disputes between partners or stockholders in the company. You should write down about all the internal workings of your business so that you don’t get into trouble later on. 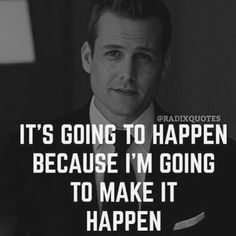 You need a lawyer for this task. You should hire a lawyer to deal with the copyright and trademark issues of your business. Copyright and trademark ensure that you are doing a legal business and you won’t get sued by other companies. When you hire employees you need to follow various state and federal government regulations. To check for things like immigration, overtime laws, minimum wage, discrimination, compensation laws, etc. you need a lawyer. A lawyer will protect your company from outside threats or breaking state or federal government regulations. The lawyer can help you keep all your business papers in order and save you from any kind of disputes from within the company or outside. Many people think that they are smart enough to deal with the legal issues themselves. Some even think that they can solve the problems by reading books or some online materials. But the truth is that you won’t have the knowledge a lawyer has. So, it’s very important to have a lawyer for your company. 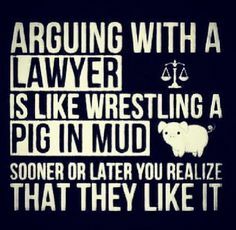 Arguing with a lawyer is like wrestling a pig in mud: sooner or later you realize that they like it.